Glasgow’s Cosmo Cinema was designed in a splendid mix of Art Deco and Art Moderne styles by the prolific cinema architect, James McKissack. It opened in 1939, the largest and only purpose-built art house cinema outside London’s West End. 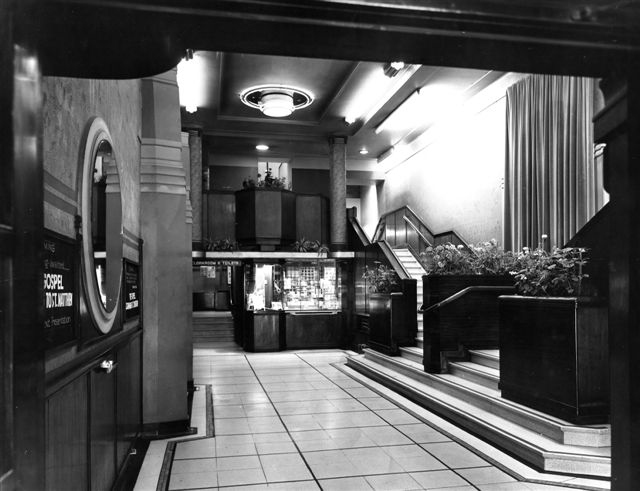 The flagship cinema of the Singleton chain, it was advertised as ‘Entertainment for the Discriminating’ and promoted by bowler-hatted, cartoon character, ‘Mr Cosmo’ – short for cosmopolitan to reflect the international flavour of the films shown. Bought by the Scottish Film Council in 1972, it was restructured and renamed as the Glasgow Film Theatre – the GFT. It remains without doubt the most pleasant place in Glasgow to go to see a film on the big screen. RONALD SINGLETON – son of its distinguished creator, and himself responsible for latterly developing the Cosmo’s range, will be in conversation with DAVID BRUCE – former Director of the Scottish Film Council, delving into the stories of this enduring, iconic landmark. They will be joined by the Cosmo/GFT’s Liana Marletta to lift the lid on future developments. All of the illustrated talks are at 11 am at The Kelly Gallery, with coffee etc served from 1030 and included in your £6 admission.